When you think about it, generating sales may not look like the most difficult thing on paper. However, in reality, it is one of the most difficult things to manage. It’s a long process that starts when you spot a need and ends when you finalize a sale. However, merely having a solution is not enough. You need to reach people who are in need of this solution and tell them why they need it. It’s definitely easier said than done. When it comes to sales, you can either sell directly to customers or to businesses. While many believe the former to be more popular, the truth is that the latter (B2B) is equally important (if not more) as businesses deal on a much wider scale. Selling is all about providing users with a solution to their problem. Unfortunately, not everyone may look at a problem as a problem that needs to be solved. You need to highlight the issue that your product solves while talking about the benefits of using what you have to offer. When you pitch to your potential customers, they will bombard you with a lot of questions. The most important thing is to be well aware of your product. You should know the basics, such as price, warranty and ingredients as most questions will be related to your product. However, be ready to be taken by a surprise. Some clients will ask you questions regarding your business, and also the general market. 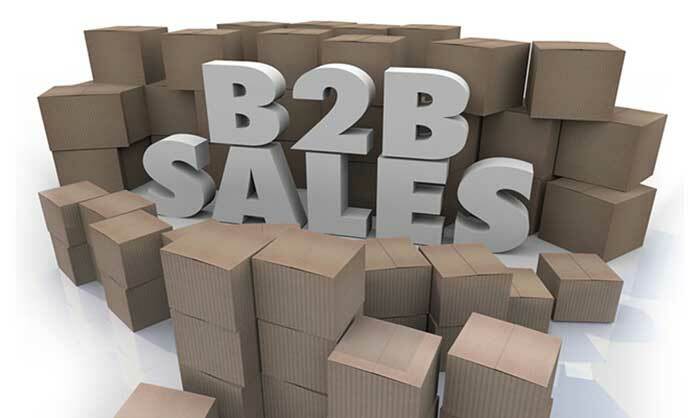 This is not unheard of in B2B sales as the business is on a larger scale. Someone may even ask how your product is better than a rival product. To be able to score a victory, you must prepare well in advance. Some of the questions can be very difficult to answer, but make sure to stay confident. You need to be sure of your product before you hit the market. The testing phase has to be well documented and studied. Look at this manufacturer’s story on how this fashion brand pitched itself to other businesses. You should know all the pros and cons of your product. This will not only help you answer questions related to your product, but will also help you understand what people want and how they want it. In addition to this, testing a product will give you real-world data exploration that you can use to advertise your product and also market it better. For example, if everyone loved your product in the test phase, you can promote it as a universally accepted product. You need to tell your potential clients why you are the best in the business. While this does not necessarily mean talking about your competitor, it does however require you to present yourself as a leader. You can come across as a leader by showing infectious confidence and speaking in an authoritative manner. Talk as an industry expert and position your brand in a solid manner by using real world data. You can also be an expert by having an web host blog providing expert advice. This can include your sales and other impressive numbers. However, make sure to speak the truth as you may be asked to prove your claims. Your sales pitch must be solid. Think of any popular brand, and its tagline or slogan would be the first few thing to come to your mind. You should rehearse before a meeting with your clients. Know how you’re going to pitch your product. While it may look a little animated when you get up to present your idea, the truth is that it works in the business world. This is because executives today do not have time for unprepared presentations. They want someone professional to stand in front of them, introduce the product and answer their questions so that they can take an informed decision. Everything is done quickly and in a swift manner. If you mince your words, chances are you’d lose a client. It is difficult to survive in today’s cut-throat competition. You must know how to track goals and how any change affects your business. You need the right set of skills to be able to leave a mark. We’re hopeful these tips will help you a great deal.